Forge helped GTP Services develop its STRATUS application cost effectively, while helping reduce the time needed for fabrication and detailing work by design and engineering teams. GTP Services creates software that bridges gaps in the construction workflow. Its products and services extend Autodesk BIM and virtual design capabilities from the office to the fabrication shop and the job site for all construction trade contractors. GTP wanted to create an application to extend the capabilities of BIM 360 Team™ software and BIM 360 Docs software, the cloud document-sharing software for BIM. 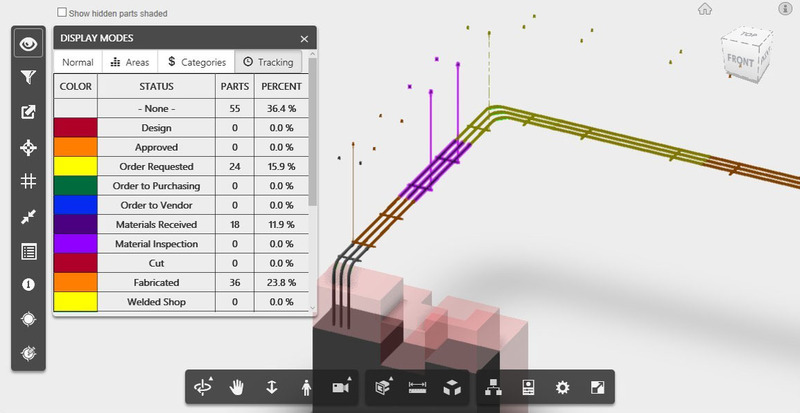 The application—STRATUS—helps BIM 360 Docs users in offices, fabrication workshops, and on job sites better manage tasks related to prefabrication assemblies, shop fabrication, and field installation. However, exchanging files for viewing on separate desktops wasn’t a significant improvement over paper drawings or static PDFs. How GTP solved it with Forge. Using STRATUS and the TigerStop™ automated measuring tool, time needed to cut piping reduced from 1 minute to 5 seconds per cut. STRATUS dimensioning tools eliminated 15% of detailing work for designs. Forge Viewer helps save on software development costs—a boon to smaller companies like GTP.